Hello, im having trouble finding the command lines needed to create portals between worlds. Most sources I've found online use /mvp , which isn't being recognized. What am I missing? I finally saw the update notification! It does not matter what is the alpha version. The main thing is that the process is launched and soon we will all see the release, I hope! Am I able to use the same worldgenerator plugin on 2+ maps with this version? Would be so happy! Do not get this plugin! Players' inventories will clear whenever they rejoin and will be sent back to the spawn point when they join. I have version 2.6.0 on my server, but it crashes every time someone dies. We checked the console and it looks like it is because we have Multiverse it doesn't know where to spawn them. We can fix it by deleting the player data and restarting the server, but it gets tedious to do that every time someone dies. In case you're still looking for an update, there's a link to the dev build repo in the description above, and the lastest dev builds should work well enough with MC 1.13. Our server runs fine with build #738 which as of now is the latest one from July 23 already and helps maintain about a dozen worlds combined. If you're unsure about the right dev builds or whatever, feel free to ask. Not anymore, no, i decided to make my server 1.8+ since it would be a lot easier for me and my server for future Minecraft versions and not having to wait 6+ months for an update on my plugins needed, But thanks anyway. Do I download the latest version? In case you're still looking for an update, there's a link to the dev build repo and the lastest dev builds should work well enough with MC 1.13. Our server runs fine with build #738 which as of now is the latest one from July 23 already and helps maintain about a dozen worlds combined. Can you remove teleportation effects, such as blindness and others. Please remove it or explain how to remove it! Sorry if the translation is not good I'm French! 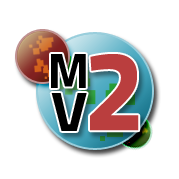 So basically, im looking for a plugin compatible with MV2 and Essentials that lets you have per world warps.